On March 11, 2019 , Harvest Health & Recreation Inc. ("Harvest") announced it would be acquiring Verano, and Harvest already owned a Florida medical marijuana treatment center license. This acquisition ultimately led to Verano requesting to terminate the binding agreement it had with SOL Global, and SOL Global determined it was in its best interest to endorse the Harvest-Verano transaction. After good faith negotiations, the parties involved have elected not to close on the USD$100 million binding contribution agreement for 3 Boys Farms and have finalized agreeable terms for the termination that SOL Global considers favorable for its shareholders. 10 Dispensary sites which are owned or leased in Oakland Park ( Fort Lauderdale ), North Miami , Port St. Lucie , Bonita Springs , Ft. Myers, Sarasota , St. Petersburg, Clearwater , Jacksonville Beach and Tallahassee . These dispensary sites are currently undergoing permitting and/or construction, and the first two dispensaries are set to open in the second quarter of 2019. All dispensary operations and/or openings remain subject to the receipt of all required approvals from the Florida Department of Health, Office of Marijuana Use. A newly designed and developed farm site in Indiantown, Florida , which is strategically located less than 90 miles from South Florida which is poised to be one of the largest markets in Florida . The new farm comes with a state approved, GMP certified extraction, processing and manufacturing lab that is fully equipped. Additionally, pursuant to an amended and restated binding Share Purchase Agreement between Sol Global, CannCure Investments, Inc. ("CannCure") and the shareholders of CannCure, Sol Global will acquire 100% of the common shares of CannCure, a privately-held Ontario corporation that indirectly holds 100% of 3 Boys Farms. Under the terms of the acquisition, SOL Global will issue 7,317,500 common shares at a negotiated value of $4.00 per share to the shareholders of CannCure, and, upon a successful future sale of 3 Boys Farms, will also pay an earn out structured as follows: i) SOL and the former shareholders of CannCure will each receive funds upon sale for the amounts each has invested; and ii) any remaining amount from such sale will be split, with 42% of the remaining amount going to SOL Global, and 58% of the remaining amount going to former CannCure shareholders. If SOL Global fails to announce a binding agreement to sell 3 Boys Farms within 2 years of the closing date, then SOL Global will pay the former CannCure shareholders a payment of US$80,000,000 . With authorization to cultivate, process and dispense medical cannabis in accordance with Florida law, 3 Boys Farms' operation consists of 40,000 square feet of fully-operational greenhouses located on an eight-acre parcel of land. The existing facilities include a two-acre odor mitigation space that is run 100% with harvested rainwater, solar pumps and repurposed high-volume chilled air from the cultivation greenhouses – a true zero-carbon footprint. 3 Boys Farms' innovations, including alternative energy use, greenhouse cooling designs, and rainwater harvesting, were recognized and honored by the Governor's Environmental Leadership Award. Additionally, 3 Boys Farms has commenced extraction and processing operations at its new GMP-certified farm and laboratory facility in Indiantown, Florida and expects to receive dispensing approval from the Florida Department of Health, Office of Medical Marijuana Use by April 1, 2019 . The new facilities will also include 6,000 square feet of indoor cultivation and processing space and 50,000 square feet of greenhouses. Cultivation at the new facility is expected to commence in the fourth quarter of 2019. This new branch will add to the already robust production capacity of the 3 Boys network, which currently harvests 350 pounds of premium-quality cannabis flower per month out of its facilities in Ruskin, Florida . Below are internal unaudited management calculations of SOL's net asset value as of March 29 , 2019. Key assumptions related to the investments have been stated below, and may be subject to change based on, among other things, SOL Global's annual audit. SOL Global continues to execute on its wide-ranging vision for the international cannabis industry, delivering maximum shareholder value in the process. 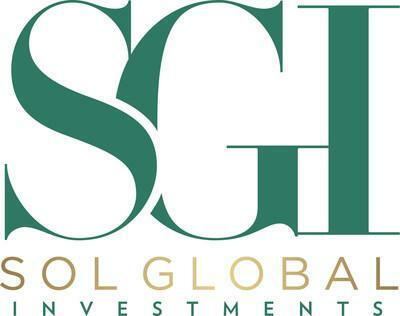 SOL Global's estimated net assets per share value of $6.12 significantly exceeds the current trading price of its stock, which closed at $3.58 on March 29, 2019 . The Company's recent launch of its hemp/CBD-focused subsidiary Heavenly Rx, along with its numerous other recent strategic acquisitions and investments, has helped cement its position as a leader in the global cannabis market. SOL Global is an international investment company with a focus on, but not limited to, cannabis and cannabis related companies in legal U.S. states, the hemp and CBD marketplaces and the emerging European cannabis and hemp marketplaces. Its strategic investments and partnerships across cultivation, distribution and retail complement the company's R&D program with the University of Miami . It is this comprehensive approach that is positioning SOL Global as a future frontrunner in the United States' medical cannabis industry. 1 Harvest Health and Recreation Inc. (CSE:HARV) price as of March 29,2019. SOL currently owns 4,049,701 membership units in Verano. Based on the exchange ratio of 7.7625 Harvest shares per Verano unit, SOL will own 19,286,701 Harvest shares post-closing of the transaction. No discount has been applied for any lock-ups.